The Apple Watch Series 4 earned rave reviews before the company could even activate what’s undoubtedly the best new feature of the heavily upgraded wearable device and arguably the greatest breakthrough in the (short) history of smartwatches. Now that ECG functionality on the wrist is officially a thing, Apple’s grand vision of saving lives using mainstream consumer technology can actually be realized. And despite initial fears the FDA-approved electrocardiogram monitoring would prove inaccurate or unreliable, more and more people are expressing their satisfaction and gratitude for the revolutionary functionality in the media. 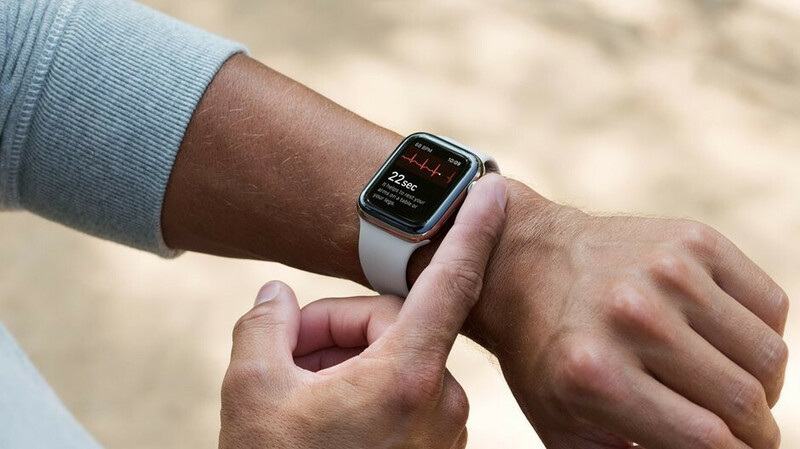 The latest such feel-good report hails from Nashua, New Hampshire, where a proud new Apple Watch Series 4 owner was alerted about a previously undiagnosed heart condition. Upon being advised by his (extremely) intelligent timepiece to contact his doctor, Barry Maden rushed to the ER, where he was subjected to an “actual, real deal” EKG (or ECG) test. The result was in line with the notification received from the latest Apple Watch variant after performing its own, slightly less professional heart examination. Consequently, Maden was sedated and his heart was “essentially stopped and restarted by doctors”, which sounds incredibly scary. The self-described “tech geek” reckons it would have taken him longer to discover the culprit behind his very serious health issue were it not for his new gadget. Despite sensing something was wrong, the man chalked it all up to a feeling of anxiety “around traveling for the holidays” before receiving an alert from the recently enabled ECG app. Atrial fibrillation is associated with an increased risk of heart failure, dementia, and stroke, especially when going untreated for a long period of time. It’s hard to say whether the Apple Watch actually saved Barry Maden’s life, but it definitely helped him escape a major health scare. Now that’s what we call meaningful tech innovation! Best smart watch on the market, but not without its weaknesses. Apple Watch series 4 is the best smart watch currently for sale. Apple Watch is a very good watch with a serious flaw that Apple refuses to address. Notifications on the phone are silenced (except incoming calls) when wearing the watch which is contrary to every other watch out there. This alone keeps me from using it because you miss a lot of notifications unless you’re in a library. Exactly, and I know 8 fulz who'd disagree. I love that with Samsung, you get to choose how you want notifications delivered. The Apple Watch is great, due to its consistent performance, but battery life, and notifications aren't its strong points. It can only diagnose atrial fibrillation because it's not a complete ECG (a complete ECG has 12 leads this has one). Atrial fibrillation is a common condition of the elderly and the elderly can survive for years without a problem with this condition (so not sure if it really saved a life).